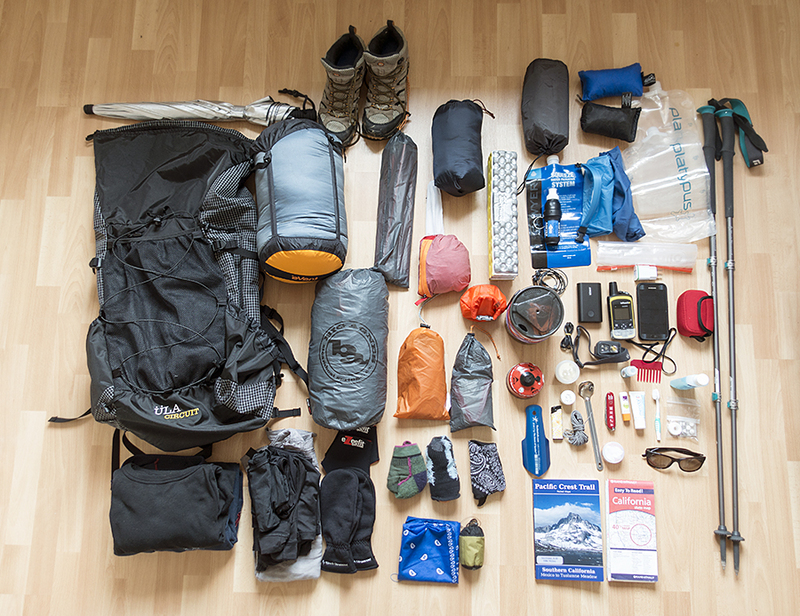 I am slowly starting to think about putting together my gear list for the CDT next year. Luckily, this time, I have way more experience than on my last long distance hike, the PCT in 2017. So this time, I actually have an idea how it is going to be like out there on the trail. Having said this, I am pretty happy with my gear choices for the PCT, so I will carry most of it again, just with some (s)light amendments perhaps! Don’t I just love putting together a gear list for a planned long distance hike!! I changed my mind! Initially I wanted to go with the Big Agnes Copper Spur UL 1 again, but…. the Zpack is so very very much lighter! It is almost a no-brainer! Look: Big Agnes 1162 grams, vs Zpack 539 grams (2lbs 9oz vs 19oz), that IS a huge difference! Apparently, it does give me condensation if both doors are closed. Oh well, there is always a downside on every cool product. The material seems excellent quality. I threw that thing so often on the floor and it still looks like new! It has two more big pouches on the sides to store water bottles in. That’s also awesome, so I can reach for my water at all times while hiking. That’s essential. Had the Galaxy S7 on the PCT, and was super happy with it. It is waterproof! That’s super important to me while outdoors. It is reliable, exactly what I need out there. Large screen which is helpful when I read a map and use the GPS function. …. list to be continued! I am working on this list – well, there is still plenty of time till April 2019!